Right now, none of the licenses interest me. But if they did some horror stuff, or relaunched Planet of the Apes, I might bite. OMG totally! I had some POTA Mego stuff as a kid. Would definitely go for that. Would also go for the Mego Spider-man if they reissued that. I broke the head off mine 36 years ago. I'm old enough to have a tiny bit of nostalgia for these so I might be interested if they reissued the superheroes. Oh yeah, I'd be all over some mego horror. Oh wow, I'm definitely planning on picking up a few Star Trek Megos ! I never would have thought that I'd ever be a Mego fan, but back when Diamond Select released their Mego reissues back in ca. '09, I was inexplicably drawn to them. Oddly enough, the only stores in my area that carried them were Blockbuster Videos , but they always had an amazing selection. My mom loves I Dream of Jeannie, looks like I just found her Christmas present for this year. Wait, what? 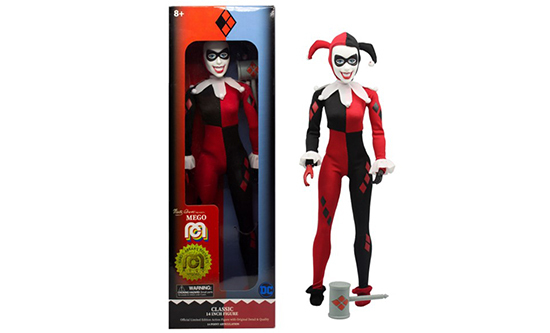 We have EMCE, Bif Bang Pow, Figures Toy Company, NECA, etc. all making 8" retro figures - probably of better quality. It's interesting that they're taking Mattel's MegaConstrux approach of mixing licenses per wave. I can't see this working well for building teams or collections or anything. Seems like it would mostly only be good for one-offs. Aside from the Mego logo, I don't really see the appeal or logic in this deal. I'm also surprised they started with Sulu instead of doing some TNG or something, which has never really been acknowledged in 8" aside from the Picard/Borg set (which wasn't executed terribly well). Even with the I Dream of Jeanie pairing, it seems like there might have been likeness rights conflicts. Yeah. It seems like companies have tried the retro Mego style at big retail a few times over the past 20 something year and none of them took off. 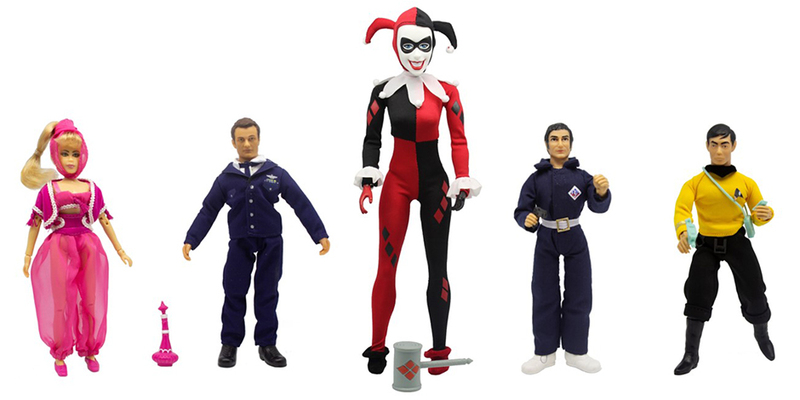 IIRC, the last wave of Mattel's DC character in this style went to Five Below. Star Trek toys in general seem like retail poison. Though I still wish they made a 3 3/4" Trek line as good as Hasbro Star Wars vintage collection.